What's the world's most popular international airline? RYANAIR HAS BEEN named the world’s most popular carrier of international passengers. The latest IATA figures show that the low-cost airline carried 81.3 million international passengers last year, almost 29 million more than second-placed Easyjet (52.7 million) and 30 million more than third-placed Lufthansa (50.7 million). 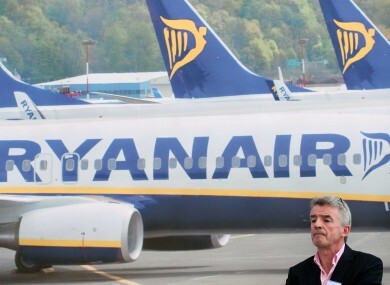 Ryanair estimates it will carry more than 84.6 million passengers this year, says spokesperson Robin Kiely. He said that passengers would increase on the back of a second carry-on bag allowance and a seat sale taking place this week. Email “What's the world's most popular international airline? ”. Feedback on “What's the world's most popular international airline? ”.